The link between menstruation and the goals of gender justice is a complicated one - whether it is the debate surrounding the controversial first-day-of-period leave introduced by some offices or challenges to the taxation regimes of menstrual hygiene products in two separate petitions before the Bombay and Delhi high courts respectively. Most recently, a two-judge bench of the Delhi High Court comprised of acting chief justice Gita Mittal and justice C Hari Shankar has issued notice in a petition which proposes free or subsidised access to menstrual hygiene products in schools and arrangements for education on menstruation and menstrual hygiene. The basis of the petition is that the state has violated the right to education by failing to address barriers to education that are particular to a biological gender. 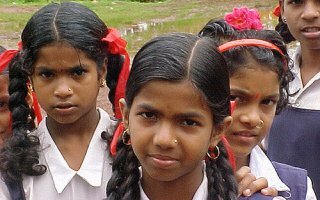 The right to free and compulsory education for children (RTE) between the ages of six to fourteen years was introduced as a fundamental right in 2002, under Article 21A of the Indian Constitution. Subsequently, the RTE Act of 2009 identified and ensured certain aspects of this right such as the presence of schools within a certain distance and removal of documentary barriers to education. Prior to this, the right found mention only as a directive principle of state policy along with other socio-economic rights, which meant that it was aspirational and ‘subject to the economic capacity of the State’. The current petition highlights that the adjudication of this right is particularly challenging for three reasons: first, the right is inherently a positive obligation, requiring the state to provide certain services to make the right meaningful (rather than a traditional negative obligation to not interfere with the Act); secondly, the present case illustrates that the right is dynamic and beyond what was contemplated under legislation; and consequently, thirdly, it raises questions about the scope of measures that the state can be reasonably held accountable for, given development and implementation challenges. If this standard was applied in the present petition, for instance, the court would need to determine whether the right to menstrual hygiene management is necessary to give meaning to the right to education, and if so, the right would have to be enforced. Though the standard appears stringent, it must nonetheless be adopted in India to render the right to education meaningful. In fact, the standard would also find legal basis: first, the ‘core obligation’ of elementary education has already been defined as between the ages of six to fourteen through Article 21A, which is enforceable; secondly, unlike the directive principles, this provision does not provide for consideration of the economic capacity of the state; and finally, in a different context, the Indian Supreme Court has dismissed the financial concerns of state governments in provision of services that arose out of constitutional obligations of the state (where a statutory obligation implied an obligation to ‘make all possible efforts and some more.’) The adoption of such a standard would help clarify to the scope of positive obligations within the right to education and the role of the courts within the same. 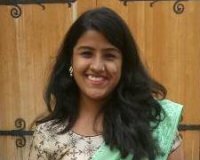 Sanjana Srikumar is a law graduate from National Law University, Jodhpur, interested in human rights advocacy. She currently works as research fellow at the Vidhi Centre for Legal Policy, where her work focuses on strategic interventions for implementation of the right to education. This blog post orginally appeared on the Oxford Human Rights Hub blog and has been cross-posted with permission.